Talking about the trips I had in 2013, they were all within Indonesia. I traveled to my fave Bali island, then Lombok island (senggigi, gili trawangan) which become my fave destination, and had short trips to Bandung in West Java. 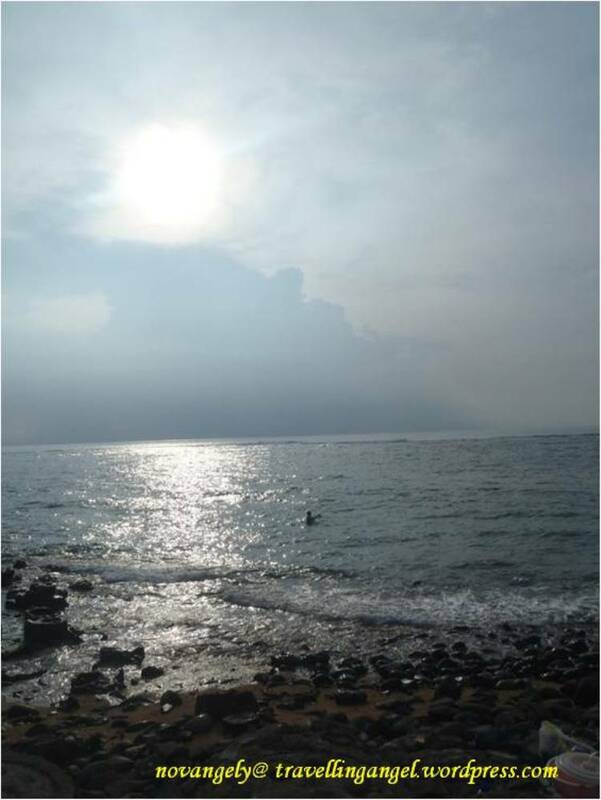 I traveled solo to Bali (kuta) and Lombok (senggigi, gili trawangan) for 3 nites and each nite I stayed in different area. It’s kinda crazy, but hey, I don’t get many leave days from work. So yeah, sometimes I put too much activities on a trip. It’s more like an adventure trip than a relax holiday. However, in this trip, I was more focus on the transport within Lombok as a reference to my next one week trip in August with my family. I visited Kuta Bali at first, then the next day took the first flight to Lombok From airport, I went straight to Gili T and then Senggigi, both backpackers way using the local transport (damri, angkot, public boat), except when going back to airport to catch an early flight back to Jakarta. What I like about this trip: there are plenty. I met some old and new friends on the road intentionally and unintentionally. An old friend I met in Bali and we hangout. A long time no see best friend from my junior high surprisingly met in the flight to Bali. We then managed to sit next to each other, catching up each other. Then I met some friends in Gili T and had nice hangout with them. I enjoyed the diving a lot! Saw some fishes I had never seen before. 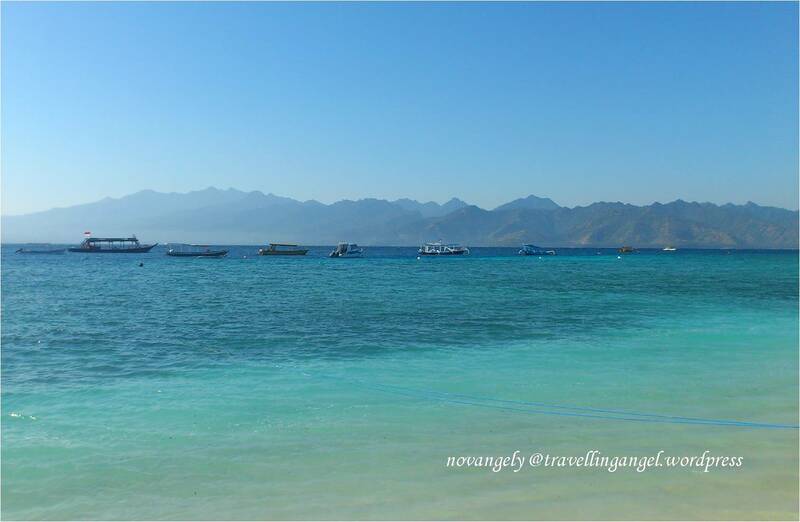 Then the amazingly beautiful views in Lombok that made me fell in love with the island. I can say it was a short trip but a memorable one. What I don’t like is knowing the fact that I still experienced that bad service to local tourist in Lombok. What a shame! I was back to Lombok and Bali with my family. Stayed a nite in Senggigi/Lombok, 3 nites in Gili Trawangan/Lombok, and 2 nites in Legian/Bali. I had some diving, snorkeling, body boarding and mostly we just played on the beach. What I like in this trip is the awesome views in Lombok and underwater. What I don’t like is bad service from the lady in Green Cafe Gili T and the guys on Lucky snorkeling trip. This snorkeling trip organizer is a disaster. They didn’t give us the equipment with the right size and floating device that we have paid. This organizer is the ‘well-known’ one in Gili T. Most hotels or tour operators will assign you to them when you book 3gilis snorkeling trip. It’s HIGHLY NOT recommended to anyone, but if you have no enough budget to rent your own boat, it’d be better to bring your own equipment or rent it from other place when taking trip with them. 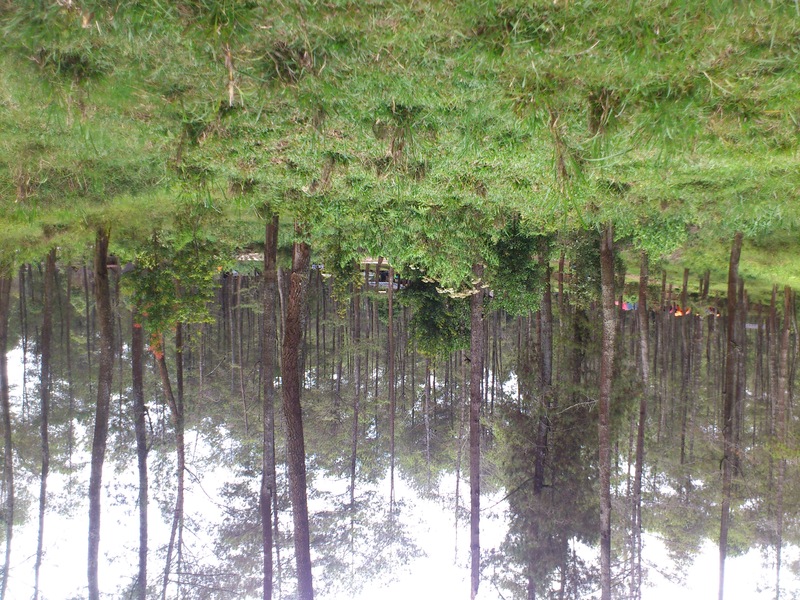 I went to Bandung in West Java this time. It’s actually a company trip but I considered it a trip too :p We stayed in Lembang area which has a cool air, sometimes can be cold for Jakartan. We had an outbound activity which is like Amazing Race LoL. 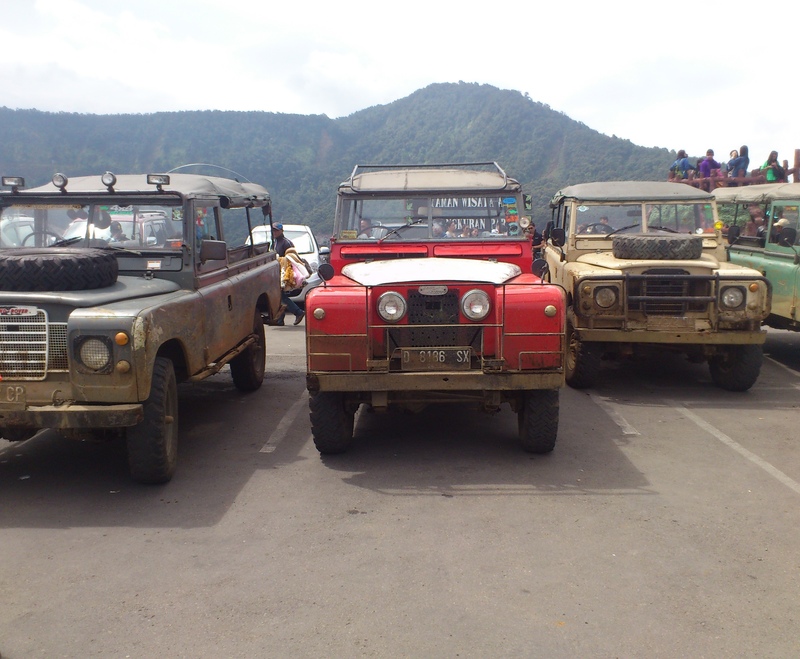 It was fun, but the offroad on a jeep through the jungle with some crazy tracks with holes and stuffs can be dangerous. We ended the tracking in Tangkuban Perahu, one of the famous mountain with active craters where you can boil an egg there. Unfortunately I couldn’t go to that crater because I had to go back to Jakarta, I had final exam the next morning ><” . What I like in this trip is only the part when I see the beautiful scenery offered in Tangkuban Perahu. I guess. What I don’t like is … the food in hotel. I went to Bandung again for the weekend. I had a friend wedding to attend so I and some friends drived there and stayed for a nite. What I like on this trip is the driving around the city, the getting lost and seeing the city at nite. I seldom explore Bandung when going there, except the trip I had with my school years ago, I mostly go there for company trip, so being able to explore it even for a short time is quite fun. We had a nice lunch in Krang Kring resto where there are many Bandung food stalls and did snack shopping at Kartika Sari, a famous snack store in Bandung. What I don’t like is the congested traffic on Saturday nite in Pasteur area. So awful and our hotel is in this area. 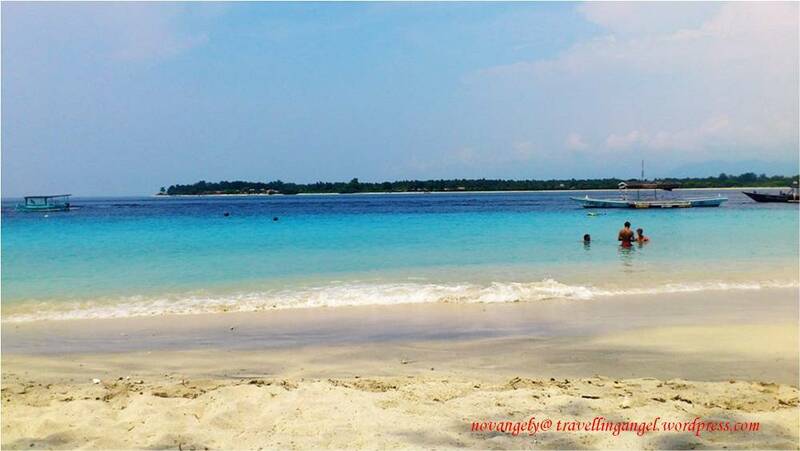 Place to hangout – like: Gili Trawangan beach (luv the view!) – dislike: none. The WordPress.com stats helper prepared this 2013 annual report . At last, I would like to wish you all the happiness, health and prosperity throughout 2014.